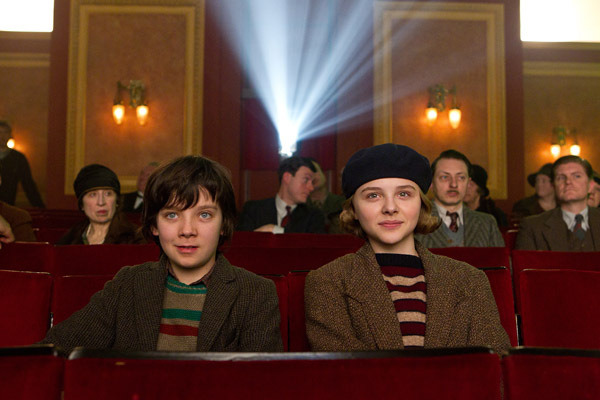 Nominated for 11 Academy Awards, including Best Picture and Best Director (Martin Scorsese), Hugo 3D tells the story of an orphan boy (Asa Butterfield), 12-year-old boy in 1931 Paris. ORPHAN, CLOCK KEEPER, AND THIEF, twelve-year-old Hugo lives in the walls of a busy Paris train station, where his survival depends on secrets and anonymity. But when his world suddenly interlocks with an eccentric girl and the owner of a small toy booth in the train station, Hugo’s undercover life, and his most precious secret, are put in jeopardy. A cryptic drawing, a treasured notebook, a stolen key, a mechanical man, and a hidden message all come together…in The Invention of Hugo Cabret. In broad terms, the story of his hero, Hugo Cabret, is Scorsese’s own story. In Paris of the ’30s, and schooling himself in the workings of artistic mechanisms. That runs in the family. Hugo’s uncle is in charge of the clocks at a cavernous Parisian train station. And his father’s dream is to complete an automaton, an automated man he found in a museum. He dies with it left unperfected. Rather than be treated as an orphan, the boy hides himself in the maze of ladders, catwalks, passages and gears of the clockworks themselves, keeping them running right on time. He feeds himself with croissants snatched from station shops and begins to sneak off to the movies. 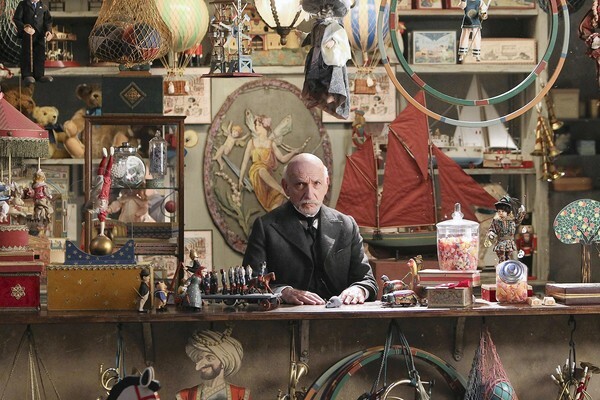 His life in the station is made complicated by a toy shop owner named Georges Melies. Yes, this grumpy old man, played by Ben Kingsley, is none other than the immortal French film pioneer, who was also the original inventor of the automaton. Hugo has no idea of this. The real Melies was a magician who made his first movies to play tricks on his audiences. Hugo who lives by himself in the upper reaches of a massive train station, rushing around through hidden corridors like a boy Phantom of the Opera as he keeps all the station clocks wound and in good repair. With the help of an eccentric girl (Chloë Grace Moretz), he searches for the answer to a mystery linking the father he recently lost, the ill-tempered toy shop owner living below him and a heart shaped lock, seemingly without a key. Hugo has been stealing windup toys from the old man’s booth. The orphan is trying to fix something very special: an automaton — a complicated, windup figure — left behind when his clockmaker father died. Hugo is based on Brian Selznick’s 2007 award winning novel and imaginative New York Times bestseller “The Invention of Hugo Cabret,” which won a Caldecott Medal and was a National Book Award finalist, introduced an innovative strategy for blending words and images, interweaving narrative and picture sequences to tell two sides of a single story, in which an orphan, living in a Paris train station at the dawn of the 1930s, forges an unlikely friendship with the pioneering French filmmaker Georges Méliès. Like the novel, “Hugo,” the film is focused on the relationship between Hugo Cabret (Asa Butterfield), who tends to clocks in a 1930s Paris train station, and an ornery toy seller (Ben Kingsley). Hugo’s father (Jude Law) has long since died, and the drowning of Hugo’s alcoholic uncle (Ray Winstone) has left the young man fighting not only poverty and hunger but also a dictatorial station inspector (Sacha Baron Cohen), resolved to dispatch the urchin to an orphanage. As he maintains the station’s massive timepieces, Hugo labors to fix a child-sized mechanical man, or automaton, that, once repaired, might be able to transcribe a message from the boy’s late father. Hugo has been stealing windup toys from the old man’s booth. The orphan is trying to fix something very special: an automaton — a complicated, windup figure — left behind when his clockmaker father died.The automaton carries other data in its wind-up memory, though, and those images at first threaten and then cement the relationship between Hugo and the toy seller, who turns out to be Georges Méliès, a pioneer in early cinema before his career, and many of his films, went up in flames. 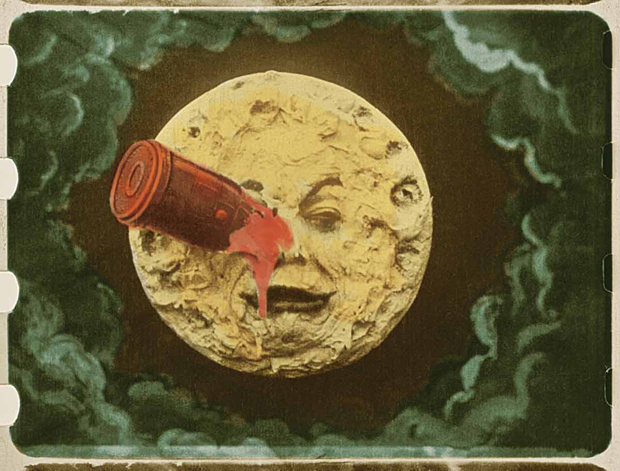 Selznick, who is distantly related to “Gone With the Wind” producer David O. Selznick, was inspired to write the book by seeing “A Trip to the Moon,” the famous 1902 Méliès short. His father (Jude Law), seen in flashbacks, has left behind notebooks, including his plans to finish the automaton. Hugo seems somewhat a genius with gears, screws, springs and levers, and the mechanical man is himself a steampunk masterwork of shining steel and brass. One day Hugo is able to share his secret with a girl named Isabelle (Chloe Grace Moretz), who also lives in the station, and was raised by old Melies and his wife. She is introduced to Hugo’s secret world, and he to hers — the books in the cavernous libraries she explores. These two bright kids are miles apart from the cute little pint-sized goofballs in most family pictures. Hugo is a tribute to one of Martin Scorsese’s great passions, his love for the early history of cinema. “Hugo” deals extensively with one of the movie’s key pioneers, the great Georges Melies, whose 1902 “A Trip to the Moon” was one of the art form’s first international sensations. For a lover of cinema, the best scenes will come in the second half, as flashbacks trace the history and career of Georges Melies. Scorsese has made documentaries about great films and directors, and here he brings those skills to storytelling. We see Melies (who built the first movie studio) using fantastical sets and bizarre costumes to make films with magical effects ­— all of them hand-tinted, frame by frame. And as the plot makes unlikely connections, the old man is able to discover that he is not forgotten, but indeed is honored as worthy of the Pantheon. Watch his most famous short film (below), “A Trip to the Moon” (1902), in which space voyagers enter a ship that is shot from a cannon toward the moon; the vessel pokes the Man in the Moon in the eye. “Hugo’s” use of the third dimension is exceptionally well thought out and essential to the film’s ability to make a children’s vision of the world come to life. Scorsese uses 3-D here as it should be used, not as a gimmick but as an enhancement of the total effect. Notice in particular his re-creation of the famous little film “Arrival of a Train at La Ciotat” (1897), by the Lumiere brothers. In this film a train rushes toward the camera, the audience panics and struggles to get out of its way. That is a shot which demonstrates the proper use of 3-D, which the Lumieres might have used had it been available. 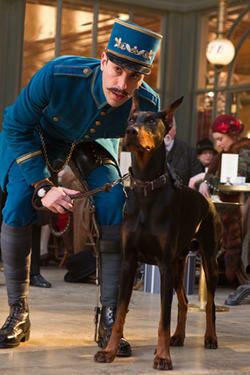 “Hugo” celebrates the birth of the cinema and dramatizes Scorsese’s personal pet cause, the preservation of old films. In one heartbreaking scene, we learn that Melies, convinced his time had passed and his work had been forgotten, melted down countless films so that their celluloid could be used to manufacture the heels of women’s shoes. But they weren’t all melted, and at the end of “Hugo, ” we see that thanks to this boy, they never will be. Now there’s a happy ending for you. Scorsese’s affection for this man and his work, which extended to building a replica of Melies’ famous glass-walled studio and meticulously re-creating his gorgeously tinted “Kingdom of the Fairies,” bring a vividness to “Hugo’s” closing sections. “Films have the power to capture dreams,” Melies said. Making that world a Parisian one has also inspired “Hugo’s” visual team, led by production designer Dante Ferretti, and the film’s numerous shots floating over the rooftops of Paris are always fantastic. As with the original novel, the wordless parts of “Hugo,” including a masterful re-creation of a famous train wreck, are very much its strength. This magical tale also stars Jude Law, Sacha Baron Cohen, Ben Kingsley, Christopher Lee and Emily Mortimer. 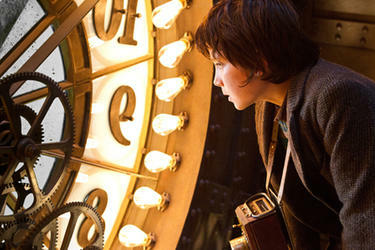 A mysterious mechanical man with the ability to write and draw holds a place of honor in Hugo. And the author’s description of the automaton’s construction — ”A cascade of perfect movements, with hundreds of brilliantly calibrated actions” — is an equally good way to describe Scorsese’s achievement in making art that uses the most advanced of 3-D technology to sing a song of love to the movies, from the very dawn of the medium. For a lay audience, the result is a haunting, piquant melodrama about childhood dreams and yearnings, enhanced with a pleasant survey course in early film history. When Serge Bromberg learned that a color version of Georges Melies’ 16-minute silent film Le Voyage dans la Lune (A Trip to the Moon)–a rendering that had not been seen in almost a century–had been found in Barcelona, he had to have it. That the celluloid relic had deteriorated into a solid decomposed mass and was damaged beyond all likely repair only made the film preservationist’s resolve deeper. “When you have a piece of the Holy Grail in your hand,” declares Bromberg, in a phone call from Paris, “you say, We have to save it!” So he did. A decade later, Bromberg is putting the finishing touches on The Extraordinary Voyage, a documentary that chronicles both the making of Melies’ groundbreaking 1902 film and the meticulous, against-all-odds process of restoring it to its full-color glory. The documentary, which closes with the color A Trip to the Moon, complete with a new soundtrack by the electronica group Air, will have its world premiere November 11 at New York City’s Museum of Modern Art (the restored short itself debuted at the Cannes Film Festival earlier this year). A distributor is being sought for an American theatrical release of the documentary (after all, no standard exists for showing a 16-minute silent film in theaters) and a Blu-ray release is anticipated for 2012, but the project isn’t going to gross anyone millions. It was done for the love of the art of film and an appreciation for the wonder of filmmaking, much like the wonder that prompted Melies to make what many consider the first sci-fi film, about humans flying to the moon at a time when the new medium was mostly devoted to very real-world events, like trains going into tunnels. Little by little, technicians broke the mass apart, revealing individual frames that were then shot digitally and stored on CD in multiple locations for safekeeping while Bromberg and his Lobster Films colleague Eric Lange sought money to complete the restoration. Funding eventually came from Groupama Gan Foundation, a French bank and insurance company and, later, from Technicolor, also based in France, which specializes in restorations. “This is cinematic altruism at its best,” says Burton, who works for Technicolor in Hollywood, where he has overseen such high-profile film restorations as The Little Mermaid, Breakfast at Tiffany’s, and Mr. Hulot’s Holiday. “They did it for the art and for film heritage, not for a high-profit Blu-ray release,” as is the case with most of his projects. When the digital files came to Burton, he was charged with piecing together a rather complex puzzle. “It was pretty overwhelming at the beginning. ‘How in the hell are we going to figure out the order?’” It was a mishmash of full frames, half frames, many of them multiples and in a variety of file formats. His team searched for what he calls the “hero” images, those with the best sharpness, the best color, and the most stable images, to anchor the resurrection. To most moviegoers, Melies’ image of a rocket landing in the eye of the man in the moon might be familiar, but his name is not. It’s an obscurity the French filmmaker might soon shed. 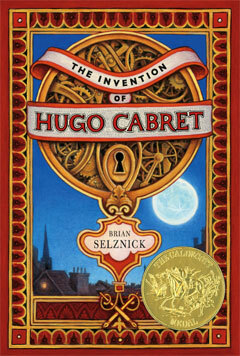 A fictionalized version of Melies, played by Ben Kingsley, has a central role in Martin Scorsese’s Hugo, a 3-D film opening November 23 based on Brian Selznick’s best-selling children’s book of historical fiction, The Invention of Hugo Cabret. Bromberg justifies Air’s funky score as a fleeting gimmick meant to interest younger people in the restored film. “The film has its own life without the Air music,” he says. Melies did not earn much money off of his creation. “There were no royalties,” explains Bromberg. “Once the print was sold to an exhibitor, he could show it as long as the print would run in the projector.” Early films were mostly newsreels and travelogues, shown together at fairgrounds, not yet in proper cinemas. Hugo (and Selznick’s book on which it is based) is set in 1931 and depicts Melies as bitter and alone, an emotional state that Selznick imagined based on research about Melies, who by that time had fallen into obscurity as technology passed him by; silent films had given way to talkies and his talents were no longer valued.